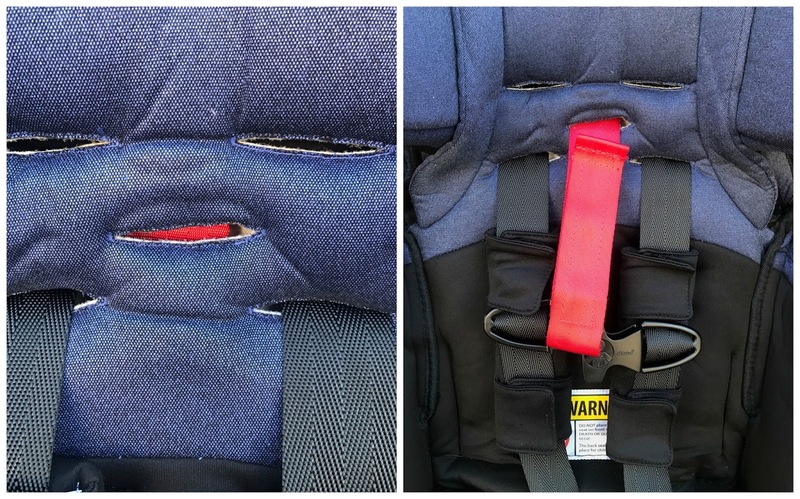 Every single person with a young child has put thought into a car seat at one time or another. It's a tough decision to make, we see multiple brands, multiple advertisements and commercials, friends with brands, etc. It's tough to settle on one brand. Diono makes that easy for you. 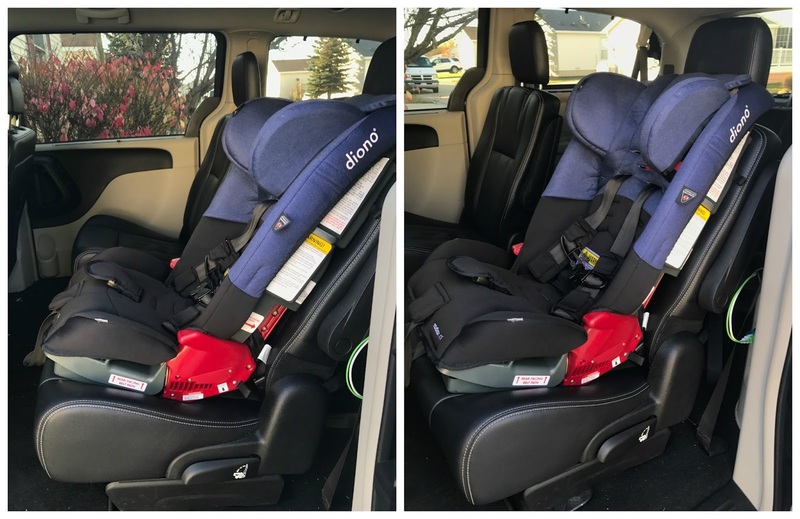 Their seats are known for being one of the safest seats on the market, as well as being skinny and being able to fit 3 in a row, so if you have a bigger family, this is very important. They make the decision easy as you can feel confident owning a Diono seat. 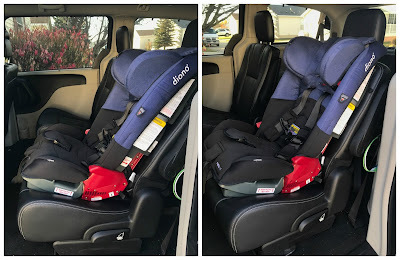 We recently had the opportunity to review the Radian RXT in Black Cobalt (ALMOST got Black Scarlet though, couldn't choose!) and we have been incredibly happy with this decision. 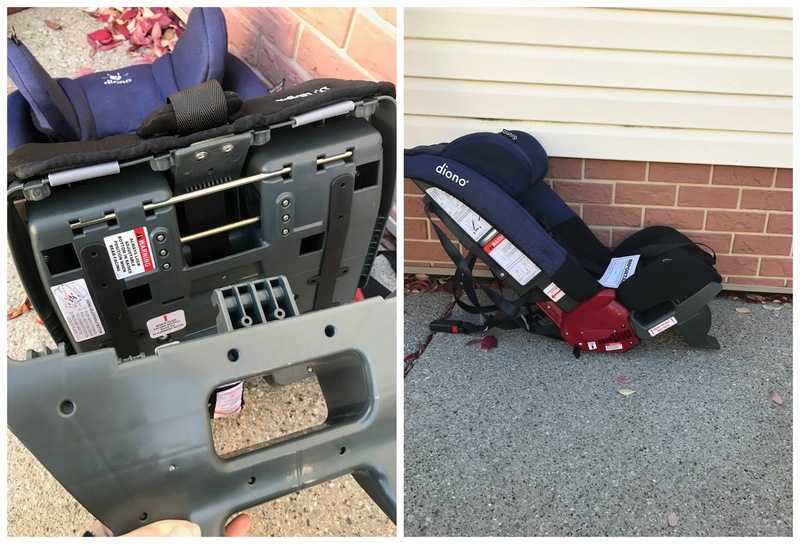 The Radian RXT is an amazing seat that will TRULY last you from birth, to seatbelt age. This is the longest lasting seat on the market and has a 10 year expiration date (most are 6-7). It will rear face your child from 5-45 pounds, forward face up to 80 pounds and then becomes a booster for children 50-120 pounds. 10 years and 120 pounds, that's how long this seat is good for!! INCREDIBLE. 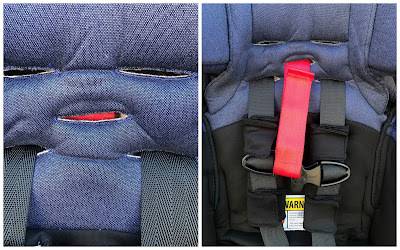 Then just push the button on the bottom of the seat, fold the seat up and use the strap to keep the seat together and secure. This is perfect for traveling (it is FAA certified so perfect for flights), and they also sell carry straps separately so you can wear it like a backpack. This is the detachable base for rear facing. Rear facing babies need to be at the proper angle and this provides that. It's really easy to clip on and off. We received this seat for my almost 3 year old and it's perfect for him. He can ride rear facing or forward facing and fits in this seat amazingly well both ways it's installed. 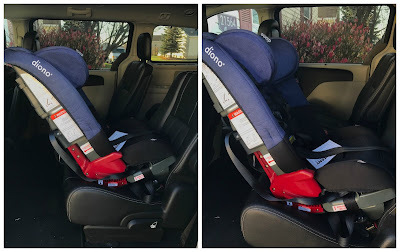 The Diono Radian RXT is extremely safe. It features a full steel frame and aluminum reinforced sides for unmatched safety. Unfortunately this makes this seat heavy, but it's not a huge deal unless you're constantly moving your car seat (I drive for Uber and move my seats weekly and it's still not bad). Lasting up to 120 pounds and up to 10 years is amazing in an of itself. That longevity is unheard of in the car seat industry. The Unique SuperLATCH system is pretty awesome too. It easily clicks down and then hs a red button on top to push and release. This seat is very easy to install and uninstall. Energy Absorbing EPS foam and side impact protection provides added safety. As well as their Safe Stop Energy-absorbing Harness. This is to be used with a forward facing child under 40 pounds! Safe Stop is a load limiting device to absorb energy and reduce impact to a smaller forward facing child. I also love that the cover is machine washable (NEVER submerge straps as this can make them break down, just damp cloth wipe them) and that it has a cupholder. The cupholder just snaps into a slot on the side of the seat. The Radian RXT comes in 6 colors and is $359.99. I know it sounds pricey, I really do, but this is the only seat you'll ever need GUARANTEED!!! !